Take a first step in the store and you are overwhelmed by the wide range of bicycles on the floor. From kids bikes to e-bikes, from folding bikes to touring bikes. A further glance and it is hard to ignore the extensive racks of accessories that set the shop apart. Everything needed for a pleasant cycling experience is there. A true saddle library for optimum comfort, kids seats, tools, and all the gear including the best rain clothing. It almost seems as if the store is influenced by the Dutch. Is it? "Correct," says owner Chris. "The other owner had spent time in the Netherlands and came back overly excited about the Dutch cycling culture. We started the shop by importing secondhand bicycles from the Netherlands and never looked back." One of the things that both were most impressed by was the classic Dutch granny bike. Also known as the omafiets in Dutch. The name for the shop was born. “It is about making the bike accessible for everyone that comes in here." After opening in Marrickville seven years ago, the shop is now located in the heart of Redfern for almost 3,5 years. When the shop moved, it stuck to its Dutch cycling identity. "We are not the average bike shop," says Chris. "We really want to make cycling available for everyone. From young families to the adventurous rider who wants to go on a trekking tour by bike. It is about making the bike accessible for everyone that comes in here." 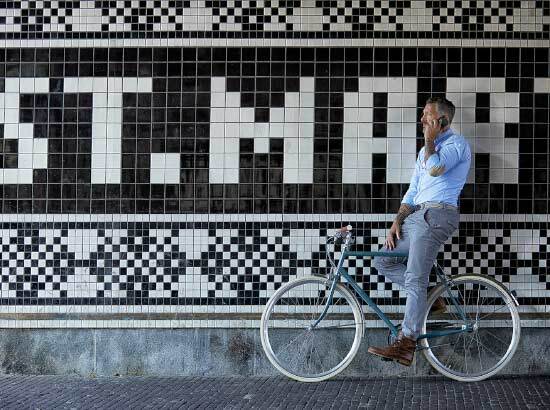 Knowing the background of the store, a true Dutch bike brand was always expected to be found in Omafiets. But this many Gazelle bicycles? The diversity of different models in the middle of the store is immense. A clear sign that the shop really caters for everyone. "A lot of people really appreciate that Gazelle puts comfort and adjustability first. Add the consistent great quality and it is no surprise it is a type of bike our customers are looking for," explains Chris. As in the Netherlands, it is no longer just the typical granny bike the crowd is interested in. More and more, people come into Omafiets to enquire about bicycles with pedal assistance: the e-bike. "It shows that for Gazelle our most popular model at the moment is by far the Grenoble C7+ HMB. 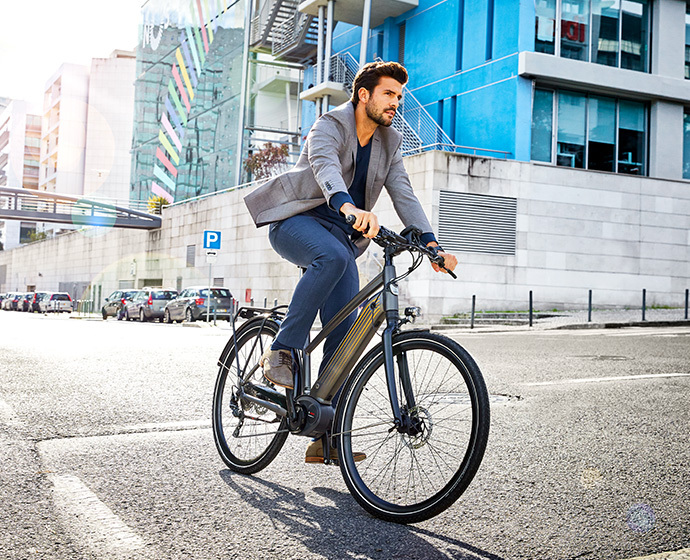 Electric bicycles are a perfect way of transport here in Sydney to tackle the elevation they face on the bike. That little bit of assistance makes all the difference." Another popular trend that Chris does notice in Sydney is the demand for cargo bikes. "We hope to have the Cabby C7 back in stock soon, as young families love them to take their kids out for example. It's a great way for a family to have mobility without owning a car." While for some people it is still an eye-opener to see an e-bike or cargo bike in the streets of Sydney, Chris can't imagine going anywhere without a bicycle. "There are a lot of good reasons to cycle in Sydney. And even though there might be some hindrances, it is still by far the best way to get around." And like Omafiets, that conclusion could very well still be Sydney's best kept secret.